When I awoke for the first time this morning the red, glowing numbers on the digital clock read 4:48. I reluctantly got out from under the down duvet and tiptoed to the bathroom so as not to wake my warm and light-sleeping husband. Back in my feather nest I settled down to sleep once more. I woke up again, a muted morning light in the room causing me to lift my head to check the time, concerned I had overslept. This time the clock was blank. The power was out. My husband, awake by then, acknowledged the power outage and we snuggled down under the duvet to let the fact sink in. When I was a child a power outage at my parents' house only meant one inconvenience: no electricity to power the lights, television or kitchen stove. The gas furnace still worked and our water, provided by the city where we lived, still ran hot and cold. During power outages my family sat together in our living room, talking comfortably by candlelight, enjoying the novelty. Where I live now, in a small, rural town in the eastern Fraser Valley my well water requires an electric pump to fill the pipes and thus, the kettle. The gas furnace requires an electric ingnition to send the heat through our two story B.C. box of a house. We have one gas fireplace with the pilot light left on all winter in case of a power outage. We rarely use the fireplace because it is in the downstairs family room next to our bedroom. The family room used to be used more often and much of the space was taken up by a ping-pong table. With the boys gone most of the year now, the ping-pong table sits in the garage as the girls rarely use it. They do use the piano which is in the room along with my husband's cycling trainer, weights and medicine ball. Other than the addition of a dart board on the wall, the family room is fairly bare now. Needing to find out the time, I rose and put on some warm clothes. I climbed the stairs, listening to the wind howling outside. The upstairs was full of early morning light; the day promising sunshine, at least, after two solid days of blowing snow. I turned on the battery powered radio - another safety feature in our house along with an easily found flashlight and a case of bottled water - and waited for some news of the whys and wherefores of our power outage. I found out that the elementary school near our house was closed for the day due to the outage, but that was it. The high school my daughters attend was open. So, ours was the only area of the town affected. I woke the girls who complained about their school being open. I asked them if they would rather stay at home in a cold house with no power or go to school where it was warm and the computers worked. They chose the latter. My kind husband set up his Primus stove in the garage and heated water so we could all start the day with a hot drink. Then, he gathered his razor and some other toiletries, put his suit in a garment bag and left for work where he could have a shower. The girls, their hot beverages encased in thermal mugs went off to school bundled up against the windchill. I, left at home to cope in a cold house, changed into even warmer clothing. I ate my cold granola and yogurt and willed the power to return so I could get to work on the computer. I put away the dishes and tidied the kitchen as best I could. By 9 a.m. I was cold again, all traces of the warmth of the mug of instant espresso gone. I put on my crocheted hat and the Pashmina shawl that my eldest had bought for me on a hot sunny day at a market in Venice. I went downstairs to sit by the fireplace. I pulled the chair out of my bedroom, sat down with a blanket across my lap and put my feet on the tiles of the fireplace hearth. I proceeded to read a few pages of my fat historical novel. The gas fireplace was a pathetic match for the frigid room and the wind howling down the chimney; the fireplace had once been a real one for burning actual logs cut from trees, not formed in a mold from some kind of flame-proof ceramic material. I could have put on another sweater and pulled the down duvet off my bed to wrap around my entire body like a caterpillar's coccoon. I would have been perfectly cozy if somewhat immobilized. While I considered the duvet, my mind began to wander off the page of Rutherfurd's London to a cafe downtown where there would be heat, light and real, hot coffee. Bundled in my heavy coat I walked down the road from my house. The BC Hydro crew was working at the end of the first block, cutting the limbs off a tall, scraggly cedar that, having finally succumed to the night's relentless wind, had fallen on the power lines, causing the outage. I made my way around the trucks and estimated the power to be back on by noon. Larry, the owner of the Oasis cafe welcomed me. He, probably noticing my unwashed hat-hair, asked if my power was out. "It's good for us," he said cheerfully. The place was busy and I recognized some neighbours. Ordering an Americano and a blueberry scone I sat down at a table by a window to enjoy looking out at the cold, bright morning from my perch in the warm cafe. After reading through the Life and Arts section of the Globe and Mail left on the table by a previous reader, and finishing my scone, I took out my notebook and pen and began to write. In my early years as a dedicated reader of novels, when it came to authors, I tended toward serial monogomy. Noel Streatfield, the author of Ballet Shoes, The Painted Garden, White Boots, and several others was my first real love as a reader, but when the time came for me to move on from her delightful books for children I was at a bit of a loss. Every time I would talk about needing something to read my family would suggest Anne of Green Gables. "You'll love it," my sisters insisted, and because they insisted I resisted. I finally gave in when I was fifteen - my sisters had all moved out by then - and tentatively began the book that would change my life. I was not prepared to enjoy it, but by the first chapter I was hooked and would remain an Anne fan for life. 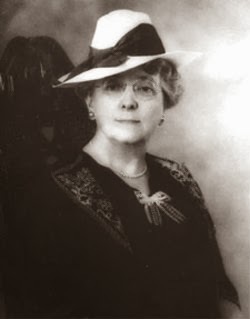 And not just an Anne fan, but a fan of the writing of her creator Lucy Maud Montgomery. I would spend the next several years scouring second hand book stores for copies of her many books, building up my collection which I read over and over until Jane Austen became my new obsession in my mid-twenties. I credit L.M. Montgomery for helping me greatly through my teen years, for giving me another world to inhabit in my imagination, adding much light to the very real world I lived in every day. I did not identify with the character of Anne as much as with the general tone, humour and background wisdom of the books themselves. Anne, with her red-haired temper, her heedless ways and her enormous scholarly discipline was not a mirror image of myself, but I did admire her goodness, her loyalty and her literary gifts. I was encouraged by her strength of character and desired to emulate at least some of what she represented. The first few times I read the books I read them for the plot alone. L.M. Montgomery is known for her descriptive passages of the land she loved so well, but I will admit I skipped over many of them to find out what happened next to the people in the books. A good book has that quality, even when you read it for the second or third time and know what ultimately happens, you still want to have the satisfaction of finding out, again, exactly how it happens. By the time I was in my early twenties I still read the books once a year, but by then I was revelling in the descriptions which painted such a beautiful picture of the land, sea and sky of Prince Edward Island and other Maritime provinces. The Blue Castle is set in Muskoka, Ontario and I still read it every few years for its pictures painted so masterfully in words by the author who had moved to Ontario after her marriage. 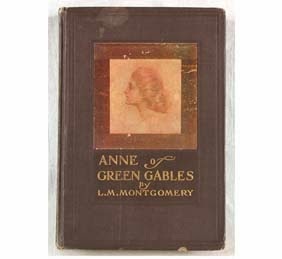 My mother often said that she liked Montgomery's Emily books even better than the sunny Anne ones. She felt the Emily books were deeper and more reflective of the author's own life as a burgeoning writer. I read the three Emily books immediately after I had read the eight Anne novels, and I could see what my mother meant. I imagined that a lot of authors identified with them, especially those who had known they were writers from a young age. The road to authorship is not easy for the character of Emily; the literary colours in the novels are in various shades of light and darkness, intimating the depth of emotion lived in real life by Montgomery. The happy ending is there, but it is hard won. When I get into something, I really get into it, so when L.M. Montgomery's journals were published I read them. Her selected journals filled five large volumes and I expected them to reflect the light and happy endings of her novels. What I discovered was that Montgomery's life was a complex blend of light and dark, of longing for the freedom of an intuitive and highly spiritual artist while 'keeping up appearances' in Canadian WASP (White Anglo-Saxon Protestant) society of the early part of the twentieth century. I read them during a particularly hard time in my own young life, which perhaps was not fair to either myself or to Montgomery whom I admired so much. Her journals sent me spiralling downwards into a blue funk. I was disappointed in her for some of her choices in life and in love (as disappointed as I was in myself at that time for some of my own choices), and I had a hard time reconciling the author of my favourite books with the author of journals which suggested so much personal disappointment and emotional trauma. I think, after giving it another twenty-odd years, I might read the journals again. I will probably read them with a more open mind and with much more compassion and empathy this time. In 2008 Montgomery's family came out with an admission that Lucy Maud suffered from depression and had, in the end, taken her own life. Her family revealed the truth in hopes that it would help to remove the stigma surrounding mental illness in our society. And while that news about her death made me sad beyond words, I have a bookshelf full of proof that inside Lucy Maud Montgomery's often troubled heart and mind was also a mystical land of humour, insight, love, and joy of the greatest kind which she shared with her readers through her writing, a refuge for her and for all of those who feel deeply and attempt to live sensitively on this earth. For those of you who read the end of my previous post I have an update: My dad was able to go home from the hospital yesterday. Such good news for him and for all my family! Many thanks for your kind wishes and prayers. Thoughts from a Sports Fan. Sort of. I remember moving to Strathcona Park Lodge where we had no cable television for a couple of years. The kids and I were happy with rented movies and borrowed VHS tapes from the library, but by year two, after enduring many, many evenings with me and my collection of Jane Austen made-for-TV movies, my husband made a decision: we were going to get a sattelite dish. With the FIFAWorld Cup of soccer and the Salt Lake City Winter Olympics coming up that year he just could not stand our TV-free existence any longer. My husband is, by far, the biggest sports fan in our house. He will happily watch anything from darts to football. I spent a great deal of our first months of married life watching the various tennis tournaments with him and our two male roommates, Derek and Finn, at Panorama Resort where we all worked for the summer of '92. Over the years of being the wife of a sports-enthusiast, and picking up a certain amount of interest in it through osmosis or resignation - perhaps a bit of both - I developed into a fan of tennis stars Andre Agassi and Steffi Graf and later, Roger Federer whom I still cheer for although other younger players are outshining his star on a regular basis now. The year the Blue Jays won the World Series in baseball I was cheering just as much as anyone, although I have not cared much about baseball since. I will admit that it was indeed good to be able to watch and cheer on the Canadians competing in Salt Lake for the 2002 Olympics. We had come 24th in the medal rankings in Sydney and then 4th in Salt Lake behind Norway, Germany and the USA. Not too shabby! The Winter Olympics are an exciting time for many Canadians, I think because we, like many winter nations get the rare chance to really show the world what we are made of. Besides the obvious skill and talent of our athletes, many of them are well spoken and generous to athletes from other countries, even supplying them with equipment when they have not the funding to supply it for themselves. The more medals we win the more this fact about our people comes to light. Our athletes are proud to represent our country and know that their country is proud of them in return. I have been a fan of the Games since I was a young girl stuck in the house one rainy summer with not much else to do besides read and watch the summer Olympics. I distinctly remember Romania's Nadia Comaneci and her perfect score for her gymnastics routine; I could barely believe her talent. 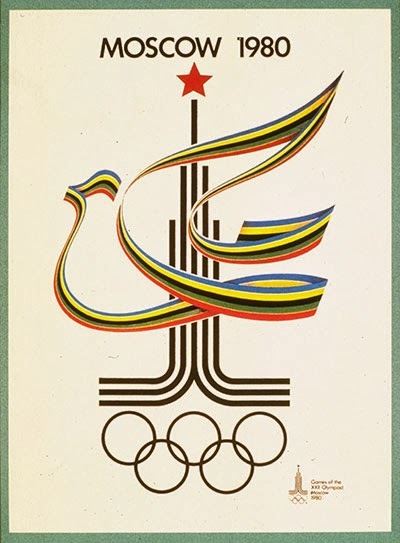 Back then in the early 1980's, the Cold War was raging and boycotting the games was rampant. 65 countries boycotted the 1980 Summer Olympics in Moscow, which led the USSR to lead 14 Eastern Bloc countries to boycott the 1984 Summer Olympics in Los Angeles. Some athletes from the boycotting countries still managed to compete under the Olympic flag. Every Olympics seem to be fraught with calls for boycotts for environmental concerns, for human rights concerns, for political reasons, and for the huge amount of money spent by the hosting country to put on the Games when it could be spending it on projects like affordable housing and improved health care for its citizens. (I heard yesterday in an interview with the head of the Sochi Olympic Committee that they spent about two billion dollars putting on the Olympics and seven billion basically building a city to host them in.) Despite these protests the Games continue to go on, every two years, alternating between the Summer Olympic Games and the Winter Olympic Games. One could argue that the Games serve to shine a spotlight on the hosting country, for better or for worse. Hopefully, after the Games, the host country works at dealing with whatever problems have come to light while it realizes how to best take advantage of the good things the world has discovered about it - Sochi looks like a beautiful place to visit with its dramatic mountains and Black Sea shorline. The Olympics have also served to gain equality for women in sport in most countries, as every sport over the years has been gradually represented by both sexes to the point where we now care just as much about how, for instance, the female mogul skiers do as the males. 'Equality' and 'Peace among nations' are phrases one hears linked with the goals of the Games. To me, the Olympic Games are always a bit of a litmus test of the global climate at the time. If you look back in history, you can find elements of this global climate in everything from the choices of team logos and uniforms to the various scandals which have come to light, scandals which have demonstrated, at long last, a general distaste in the sporting community for things such as the notoriously dubious judging in figure skating and incidences of blood-doping among athletes. during the days of the Iron Curtain. My youngest has just become keen on the Olympics this year. She announced this morning that she likes the Luge and other similar events best because of the uncomplicated judging aspect.There is nothing to get muddled about in her mind - no subjective elements like in many of the other sports. You are either the fastest down the track or you are not. She and I cheered on our mogul skiers on Monday. The moguls are one of my very favourite events, perhaps because I have attempted to ski moguls myself and can appreciate how much strength and skill it takes to do what these athletes do. Our Canadians, both from Quebec, topped the podium and it was quite a thrill for my daughter to witness their climb from the top twelve to the top six, and then, oh glory be, to the win! She was so inspired she made some Olympic themed cookies that afternoon. I have always enjoyed the figure skating events, but I will admit, here and now, that I got a little bored after watching short program after short program of the Pairs Figure Skating event this year. So many of the routines began to look the same after a while: side by side triple jumps, throw triple 'sow cows' or however they are spelled, that over-the-head spin they do, the footwork section, etc. Oh, I appreciate the work that went into their skating and their routines, but perhaps as I get older I realize that for me, something is missing in figure skating. I suppose when one is watching a sporting event which involves artistry, one has to expect the technical elements to trump whatever else is going on, because that is what sport is about. Artistry, on the other hand, is more subjectively judged. I thoroughly enjoyed watching the Canadian pair, Duhamel and Radford, because they really appeared to be dancing their routine, rather than powering through the technical elements like so many of the others. They were in third place after the short program. The Russians, in first and second place, certainly deserved to be there. Their programs were virtually flawless and ticked all the judges' boxes, but what I could not stop thinking about while watching their routines was the beautiful dancing in the ballet interpretation of War and Peace in the opening ceremonies this year. That really does it for me. While I enjoy figure skating, ballet is just that much more special, I suppose because while it involves serious athleticism, it is the artistry that trumps everything else - the athleticism is merely a vehicle for the art. That being said, and for someone generally on the outside of the sporting world looking in, I find the Games fascinating for so many reasons, and will continue to be impressed by these young athletes and what they can train and push their bodies to do. Speaking of sports fans, my dear Dad is currently in the hospital. He is having some heart trouble, but is in good hands. I was half-way through editing this post when I got the message. Please keep him in your thoughts and prayers.